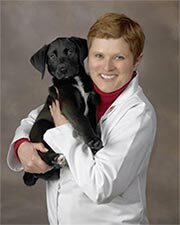 Dr. Kate Knutson is a 1996 graduate of the University of Minnesota College of Veterinary Medicine. Her professional interests include dentistry, oncology, dermatology and behavior. Dr. Knutson’s dental practice has been featured in industry publications such as Veterinary Practice News and Trends magazine. She is a frequent speaker on veterinary dentistry and other topics both nationally as well as locally on KARE-11 and Fox 9 TV, and is an author of the American Animal Hospital Association Dental Care Guidelines for Dogs and Cats. Dr. Knutson receives referrals from all over the Midwest for advanced dental work. Dr. Knutson has served on the Board of Directors of the American Animal Hospital Association and was elected that group’s president for the 2013-14 term. She has also served as the president of the Society for Veterinary Medical Ethics and Chair of the Pet Nutrition Alliance, an international group dedicated to raising awareness about the importance of proper pet nutrition. She is the proud mom of several four-legged children. Dr. Steve Barghusen is a 1994 graduate of the University of Minnesota College of Veterinary Medicine. As a student, he was awarded the Caleb Dorr Medal for graduating first in his class. After graduation, he pursued advanced training in companion animal medicine and surgery at the Cornell University Veterinary Teaching Hospital in Ithaca, New York.Dr. Barghusen is a board certified Diplomate of the American Board of Veterinary Practitioners, specializing in canine and feline practice. As of 2018 there are only 3 practicing ABVP Canine/Feline specialists in the state of Minnesota. Dr. Barghusen’s professional interests include ophthalmology, internal medicine and laser surgery. In addition to practicing veterinary medicine, Dr. Barghusen is an attorney concentrating on issues that affect pets and their people. His main legal interests include how the law views animals, and how people can provide for the ongoing care of their pets via wills and trusts. Dr. Barghusen lectures and publishes papers and articles on medical, ethical and legal topics. He is also a participant in the University of Minnesota’s Community Practitioner training program for veterinary students. He is the proud dad of several poorly behaved cats and dogs and a very cute tree frog. What Is an Animal and Why Should the Law Care? 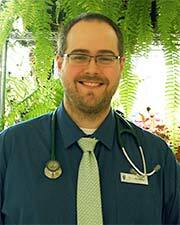 Dr. Luke Daley is a graduate of the University of Minnesota College of Veterinary Medicine. He served as treasurer for the Student Chapter of the Association of Shelter Veterinarians during veterinary school and graduated as a member of the veterinary honor society Phi Zeta. 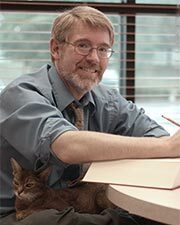 Prior to pursuing veterinary medicine, Dr. Daley studied psychology at Stanford University. Finding ways to create and maintain the human-animal bond remains a strong interest, along with internal medicine and behavior. He is looking forward to building a relationship with the Pet Crossing family and participating in outreach events with local rescues and shelters. In his downtime, he maintains the peace between the three cats sharing his home.